At Charles Marlow we like to make sure that our guests get the most out of their stay at our exclusive properties. So put your feet up, and let us take care of the details of your luxury Mallorca holidays. Our concierge is 100% exclusive – only if you book your luxury holiday villa through Charles Marlow can you access our concierge. The touristic infrastructure in Mallorca is adapting more and more to suit the style of luxury holidays, as mentioned in our 2018 market report. That is why we now have a department dedicated to making sure you have absolutely everything you need for your trip. Whether it be car hire, airport transfers, activity days, boat trips, helicopter flights or restaurant reservations, we can help. Actually, we are certain we can organise whatever you need – the only limit is your imagination. We are ready to help start planning your trip today – just get in touch on concierge@charlesmarlow.com. Which luxuries are on offer? As a rule of thumb, availability is higher the earlier you start planning. In terms of pricing, our head of concierge, Hayley, has years of experience in knitting together the best possible deals in the category of luxury Mallorca holidays. Be aware that the prices mentioned are estimated starting prices of each service / activity. Prices depend on a variety of factors, like time of the year, number of people, location, etc. For those that feel they would benefit from a more on-hand assistance. An exclusive VIP Assistant is a unique offer that takes all logistic trouble out of your luxury Mallorca holidays. Pay €275/week, and you will have constant access to a VIP Assistant for the duration of your stay. Your own dedicated VIP Assistant will be available to you for concierge requests on telephone, WhatsApp, text message, email & skype. 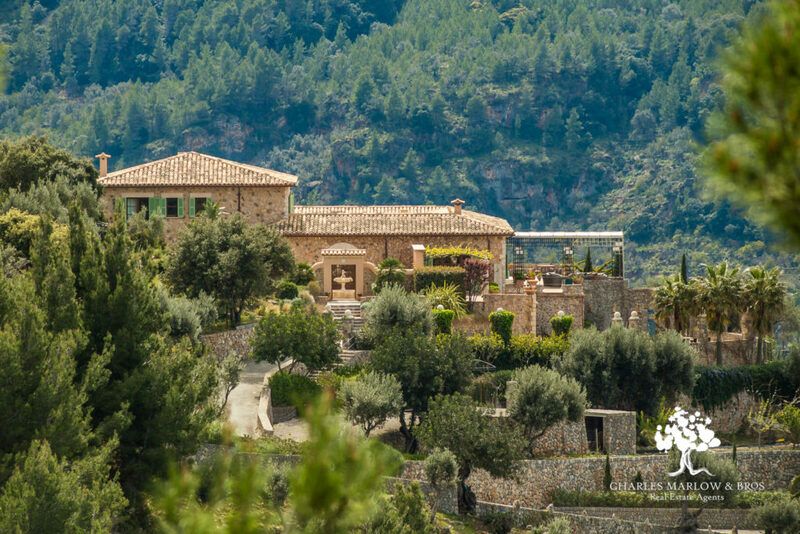 Sa Quinta, sitting majestically over the village of Deia, is one of our most popular luxury rentals. Rent a luxury holiday villa with Charles Marlow and get access to our unique concierge package and offers. Visit our rentals overview to find the perfect rental villa. Have a look at things to do in Deia and the Tramuntana mountain area. Feel inspired (and hungry!) by our list of places to eat and drink in Deia. Have a look at our Deia Guidebook and our own Marlow’s Map of Mallorca. Already have a holiday villa booked with Charles Marlow? Get in touch on email, or call us directly on +34 971 636 427. We can get started on planning your luxury Mallorca holiday today.